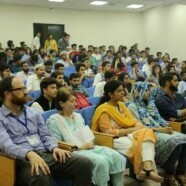 Rotaract Club conducted a seminar on the notion of Identity and Independence in Gilgit Baltistan, to raise awareness amongst the students of Forman Christian College. 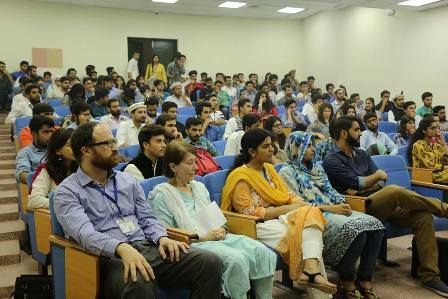 The guest speakers were Professor of Sociology, Dr Julie Flowerday and Chairperson and Assistant Professor of Political Science, Dr Syed Farooq Hasnat. 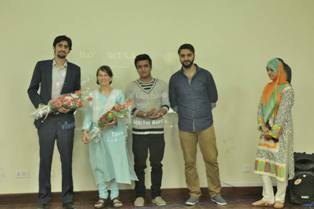 They explained the history and Independence of Gilgit Baltistan and talked about the current cultural, economic and geographical importance of Gilgit Baltistan, which was followed by the cultural performance by students from Gilgit Baltistan. At the end cake cutting ceremony took place on account of Independence day of Gilgit Baltistan.